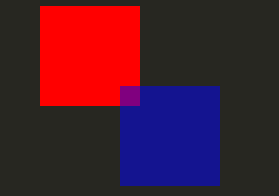 For the most basic of visuals, Qt Quick provides a Rectangle type to draw rectangles. These rectangles can be colored with a color or a vertical gradient. The Rectangle type can also draw borders on the rectangle. 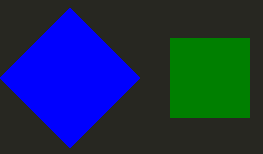 For drawing custom shapes beyond rectangles, see the Canvas type or display a pre-rendered image using the Image type. Qt Quick provides an Image type which may be used to display images. The Image type has a source property whose value can be a remote or local URL, or the URL of an image file embedded in a compiled resource file. For more complex images there are other types similar to Image. BorderImage draws an image with grid scaling, suitable for images used as borders. AnimatedImage plays animated .gif and .mng images. AnimatedSprite and SpriteSequence play animations comprised of multiple frames stored adjacently in a non animated image format. For displaying video files and camera data, see the Qt Multimedia module. All visual items provided by Qt Quick are based on the Item type, which provides a common set of attributes for visual items, including opacity and transform attributes. The QML object types provided by Qt Quick have built-in support for opacity. Opacity can be animated to allow smooth transitions to or from a transparent state. Visibility can also be managed with the visible property more efficiently, but at the cost of not being able to animate it. Qt Quick types have built-in support for transformations. If you wish to have your visual content rotated or scaled, you can set the Item::rotation or Item::scale property. These can also be animated. For more complex transformations, see the Item::transform property.